Memorial Day weekend is an excellent time to shop for the best furniture deals and to find great savings on all home furnishing needs. The RoomPlace Furniture Store is offering closeout specials and exclusive financing on furniture purchases during the upcoming holiday weekend as well as special hours for shoppers. 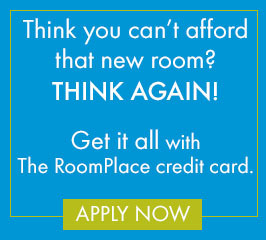 The RoomPlace offers every imaginable type of furniture for every room in the house. This unique store specializes in complete room packages at significant savings compared to shopping for individual furniture piece by piece. This total room concept allows consumers to purchase the design that meets their own unique sense of style while also taking advantage of the in-house team of designers that put together the perfect décor for each individual showroom on display. 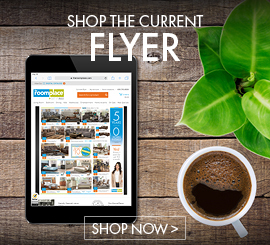 With 23 locations and an online store available for purchasing 24 hours a day, seven days a week, consumers can rest assured that whether shopping for dining room or bedroom, they can find just what they need. Experienced designers and furniture professionals are ready to assist in every way possible to make furniture buying friendly and convenient. On Memorial Day all locations will open from 10 a.m. to 10 p.m., and everything in the store is on sale. Buyers can save up to $1000 cash back or even get a free 60” HDTV (see stores for details). Immediate delivery on in stock furniture is also available along with up to five years special financing. Don’t wait to visit as the sale ends Monday, May 30.